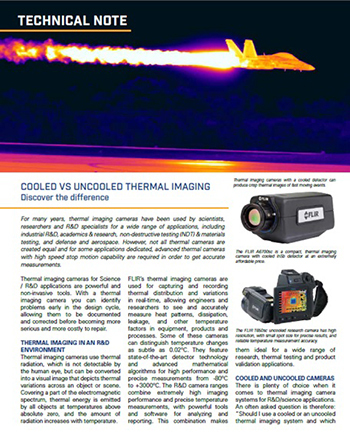 Available in Chinese, English, French, German, Japanese and Russian, FLIR Systems has published an informative technical note, 'Cooled versus Uncooled Thermal Imaging'. 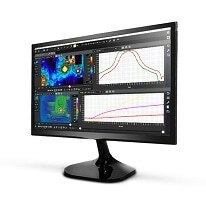 For many years, thermal imaging cameras have been used by scientists, researchers and R&D specialists for a wide range of applications, including industrial R&D, academic research, non-destructive and materials testing as well as defence and aerospace. The authors discuss how uncooled thermal cameras are generally much less expensive than cooled cameras and with fewer moving parts they tend to have much longer service lives than cooled cameras under similar operating conditions. 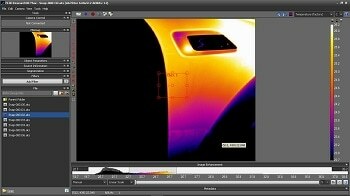 However, not all thermal cameras offer the same capabilities, and for some applications the inherent performance advantages of a cooled detector are beneficial. The technical note offers an explanation of these performance advantages and also application examples of how if you want to see minute temperature differences, need the best image quality, have fast moving or heating targets, need to see the thermal profile or measure the temperature of a very small target, want to visualize thermal objects in a very specific part of the electromagnetic spectrum, or if you want to synchronize your thermal imaging camera with other measuring devices, then a cooled thermal imaging camera is the instrument of choice.